As we race past July, I keep wondering where half the year has gone by. 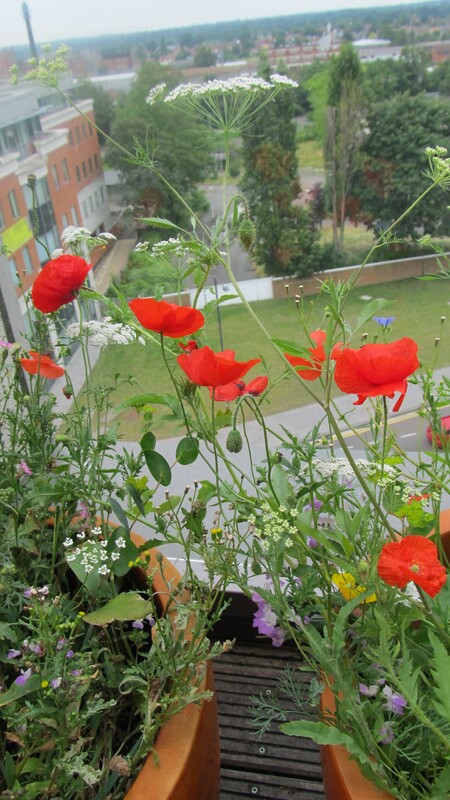 I stepped out into our balcony today and thought that my small garden has done pretty well this year. It is full of the succulents that I love and a few wildflowers along with some varieties of the common garden ivy. It is a source of great joy and inspiration for me. Here are a few photographs of my garden for you to enjoy!! A combination of succulents and flowering plants…..
A combination of a few big planters with smaller ones works really well in a small space. Common garden ivy with a combination of red poppies and wild flowers….. 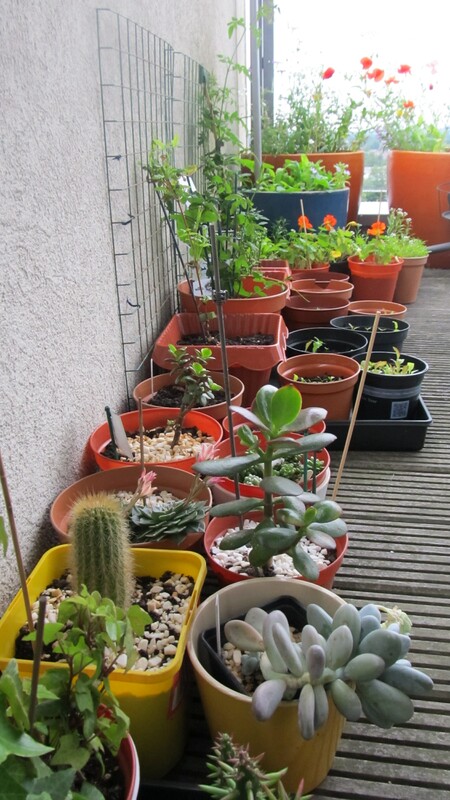 I have a lot of succulents, different varieties of cacti in my small garden. They are such resilient plants, gives you great joy, are really easy to look after and simply awesome to look at. Growing your plants in a few brightly colored planters can make a huge difference…..
Cacti can thrive well in harsh conditions. They require less care than other indoor houseplants…..
Ivy is another very easy to care for plant and does not require much care and attention. The garden ivy looks really good in combination with other plants especially succulents…. Using unused household items, like this blue tray is a great way of recycling and adding interest…..
← Lovin’ these Balcony gardens………. That’s an awesome garden you have there! Well done! Love the pics!